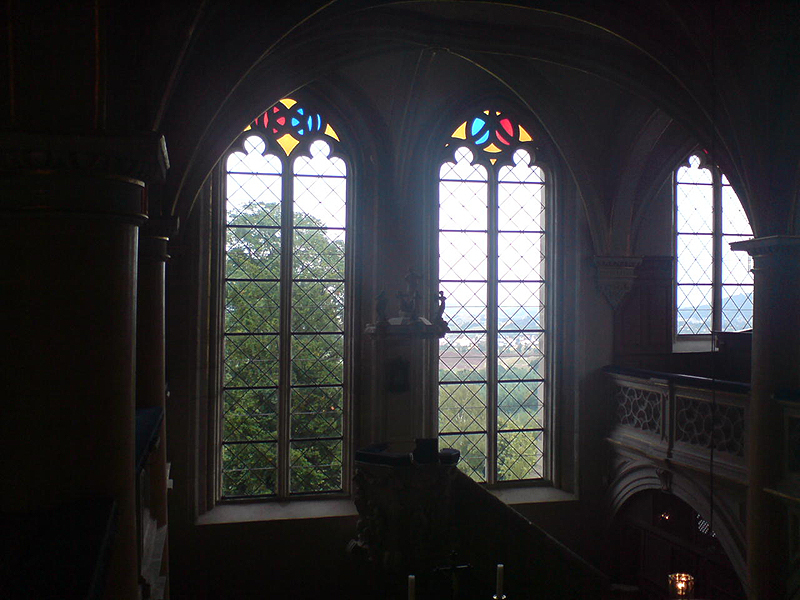 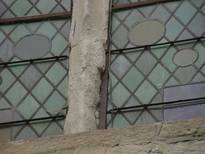 Extensive damage to the sandstones of the Castle Chapel also made the revision of the leaded glass inevitable. The leaded glass originally housed the glass-painting collection - which, however, was removed from the windows in the 1980s and stored until it was preserved by us in the context of the exhibition ""Light and Colour"". In the course of the work on the chapel windows, the decision was made to restore the arrangement of the windows to the design handed down in a painting featured in the chapel. 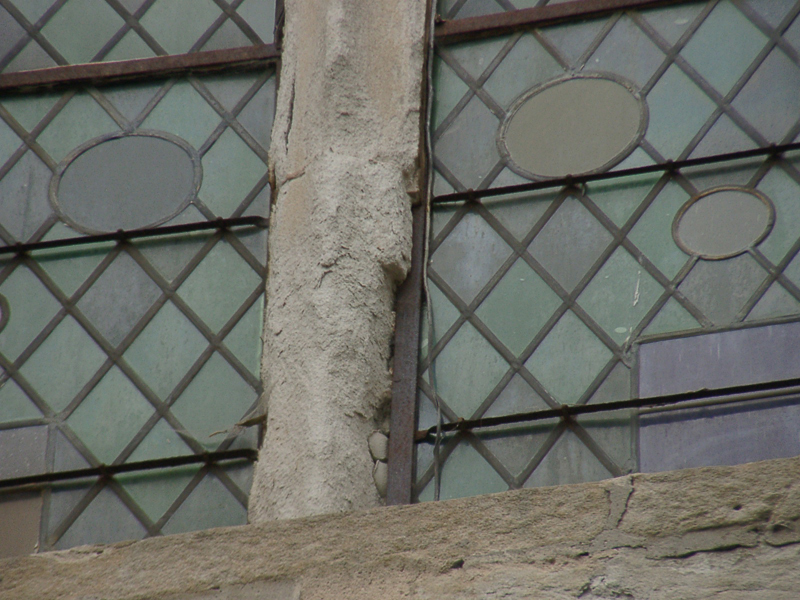 The damage to the Castle Chapel caused by stones was significant; readily recognisable is also the arrangement of the lead fields and the original positions of the glass painting panes. 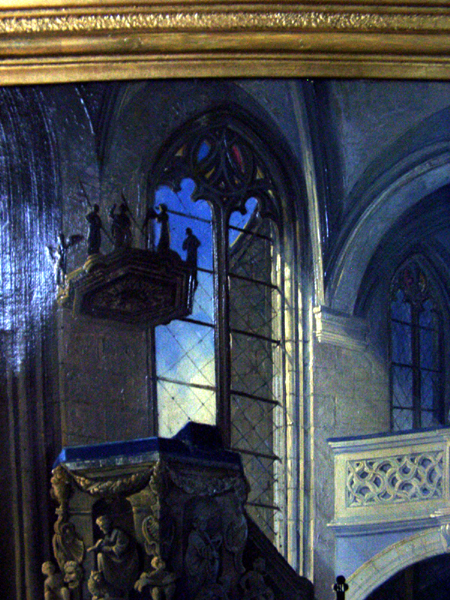 This painting clearly documented the original glazing.